Over 20 years ago, the Tamil Nadu government invited us, Sterlite Copper, to set up our operations in the port city of Thoothukudi. We began our constructions and, amidst great anticipation, we opened our plant and began production. It has now been 22 years since we first started producing copper in Thoothukudi. It only seemed fitting to have a copper producing unit in a district that reveres copper so much. In fact, the majestic Tamirabarani River flows through Thoothukudi. The river’s name roughly translates to ‘copper-infused’. Ever since its inception, our plant has been the source of livelihood for thousands of families who worked with us. We shared a strong bond with our host community, whom we always consider our first priority. Slowly, over the years we began to grow as a company and as a responsible and sustainable corporate. It was a continuous learning process for us and we constantly improved our technology to stay ahead of any errors that might occur. Over the years we have evolved to become one among the world’s most technologically advanced copper plant. Our primary objective is to produce copper in an environmentally sustainable manner, ensuring that along with us, our host community also prospers, and we were successful in this aspect. The villages in our neighborhood as well as the people of Thoothukudi city are an intelligent and sensitive group of people. 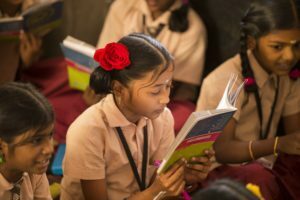 We as a corporate felt that it was our responsibility to give back to the society and so, we set up numerous social responsibility projects based on their needs. Many projects that would benefit them in different spheres of their lives were introduced, such as women empowerment through SHGs, vocational training to Thoothukudi youth to help them earn higher incomes, education projects reaching 8000+ school going children, sanitation projects by building individual toilets for over 200 households in the villages and curbing malnutrition through Khushi project. Furthermore, a pediatric floor in the Thoothukudi Government Medical College Hospital was built to ensure mother and child care, and we also routinely undertook channel cleaning projects to provide irrigation access to farmers. These are a few of the activities we undertook to help our communities. In fact, our CSR officers fondly remember being welcomed into the villages with broad smiles. They recall members by their names and have warm personal stories to narrate about them. However, over the past few months, due to the constant stream of misinformation being circulated against our company, our CSR staff began to be attacked and our projects began to be vandalized. To protect the lives of our staff, we had to stop almost all of our CSR projects. Our CSR beneficiaries were no longer being able to access the facilities of these projects due to the protests leading to the closure. 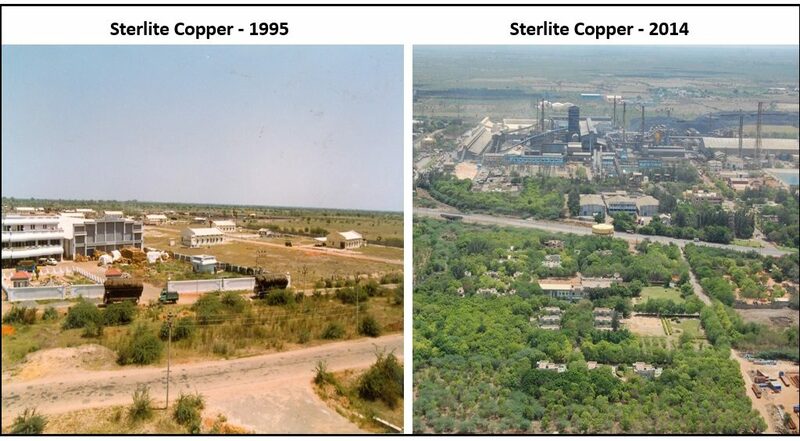 In terms of economic development of the region, Sterlite Copper’s operations led to the springing up of a multitude of downstream industries and small businesses around the area. This further increased employment opportunities in the region and trade flourished. With so many new industries contributing to the economy of the region, Thoothukudi as a district also began to do very well. These were all achievable because of the immense support Sterlite Copper as well as all the other industries in the area received from the community. However, with our combined success, cracks begin to appear in the relationship we shared with our people and we knew there were forces at work that were trying to drive a wedge between us and our surrounding community. There were people who were systematically working to create discord and disharmony by tarnishing our image and undermining our efforts. For a long time, our community stood by us and battled these attempts along with us. But in the end, the hate propagated against us triumphed as we found that we were no match for the malicious defamation campaigns that were carried out against us on Social Media spearheaded by experienced activists who have successfully carried out similar campaigns against many other industries. 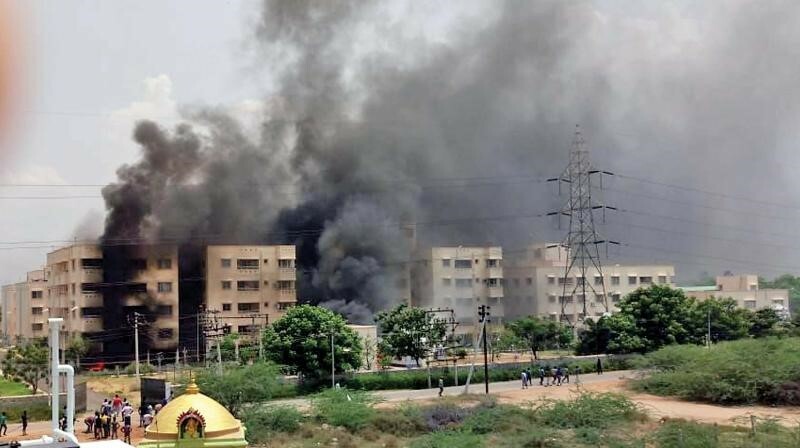 There were social media campaigns that circulated pictures of the Bhopal Gas explosion trying to mislead people into thinking it was the Sterlite Copper plant. Grotesque pictures of plants that were clearly not the Sterlite plant were circulated to people telling them the plant causes cancer. They hid from people the fact that SO2 is not a carcinogen and has no relation to cancer. WhatsApp groups were formed and community members were rapidly added. It was used as a primary tool to spread rumours and deliberately mislead the people. The community received these photos and videos on their phones and believed the graphic images of Bhopal Gas explosion to be Sterlite Copper, causing alarm and panic in their minds. The protestor’s expertise in spreading planned disharmony superseded our attempts at voicing the truth and today we stand where we are. We maintain that it is unfair that our community was led astray by these false allegations and rumors, and turned against us by inciting them to indulge in violence. A negative social media campaign supported by certain ‘activists’ ultimately led to the untimely and unfair demise of 13 people. One point that the media failed to highlight was how certain unscrupulous elements from the protesting mob rushed into the employee quarters where hundreds of families consisting of children and elderly people were residing. What pains us the most and has hurt us deeply is that certain groups have succeeded in driving a wedge between us and our surrounding communities. A bond that was treasured above everything else was broken through a barrage of well-timed social media posts that carried misleading images and false information. There are dozens of downstream industries that were dependent on the company’s by-products for their own operations. In fact, most of these companies have now had to cease production. They have laid off employees due to the lack of raw materials to carry on. In fact, one company had to completely shut down as they were dependent on Sterlite Copper. The V.O.C port in Thoothukudi, which was at one point among the fastest growing in India, has seen a visible decrease in business as Sterlite’s operations had at least 10-12 vessels that were plying every month. Truckers and stevedores are facing difficulties as they have now been rendered jobless. Many families that had school-going children are struggling to pay school fees and repay loans. Lorry drivers talk of how they have had to sell off many lorries from their fleets as they are unable to repay their loans due to the lack of a job and incomes. We hope the information shared here conveys how the decision to shut down Sterlite Copper’s plant in Thoothukudi was not the right one. It is always possible to discuss, deliberate and come up with a solution that is beneficial to all parties. This approach was lacking in the decision to shut down our copper plant in Thoothukudi. It was an arbitrary decision that did not follow any democratic procedures. We continue to hope and pray that an amicable solution is found. Definitely a very wrong decision we being a fleet owner, very badly affected by this, We are unable to repay our loans, been pushed to sell our trucks. And for God’s sake we don’t know what to do?. We don’t see any harm caused by the sterlite copper, This arbitrary decision should be withdrawn. We pray and hope that our tamilnadu government will let us live. Firstly, it is a false propaganda by anti national elements nurtured in Tamilnadu since decades, which was behind this tragic retrograde decision . We, the people of Tamil Nadu , have full confidence on Vedanta group. We only hope that the copper plant will be restarted and waiting for that Golden day. It’s definitely a wrong decision taken by the government. Can’t understand why they don’t want growth of INDIA. Can’t they see, they are becoming reason for increasing Unemployment. That too with wrong facts..
Why employees of Sterlite copper were sitting quiet.why they don’t use the social media to aware and raise there voice.1000s of people working are without any work are sitting and not raising voice ..its strange.Start a campaign on Facebook, Twitter,LinkedIn etc.Sterlite is giving employment to 1000s of people, helping in growing local economy… This is sad that such a big plant was shutoff.